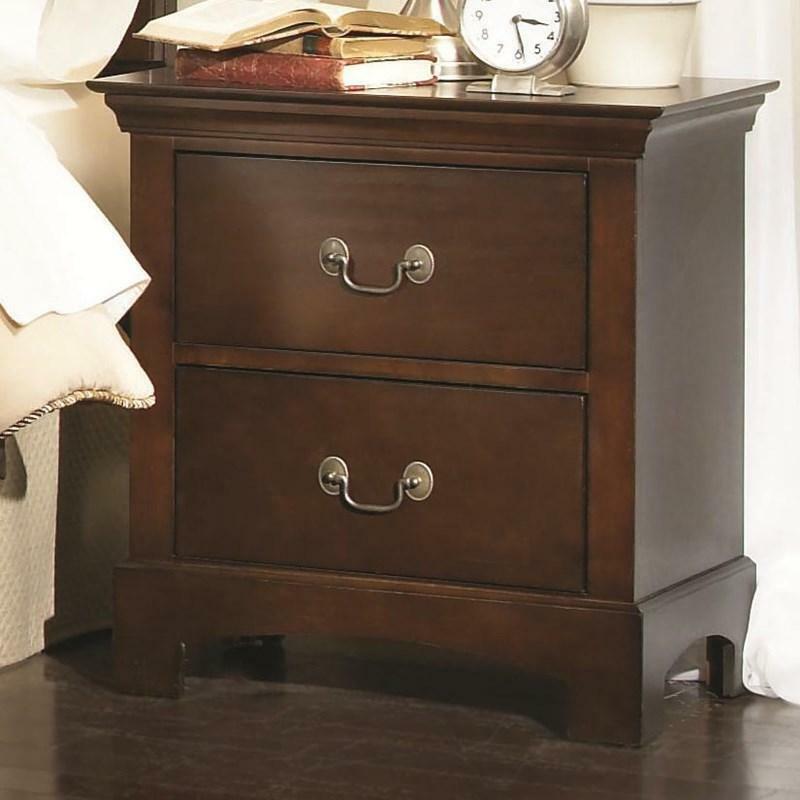 This Tatiana Two Drawer Nightstand by Coaster Furniture features a transitional style with clean shapes and beveled edges finish made of okume veneers and tropical wood in a beautiful warm brown that will gave at your bedroom a nice look. Volume 6.25 cu. ft. / 0.18 cu. 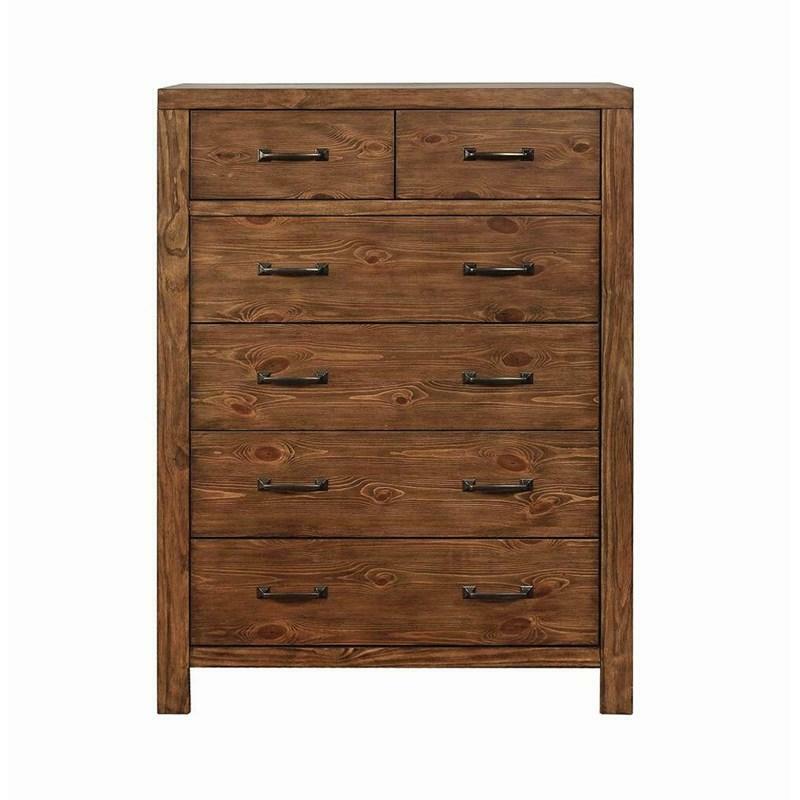 m.
Drawers operate with self-closing glides for superb strength and durability. 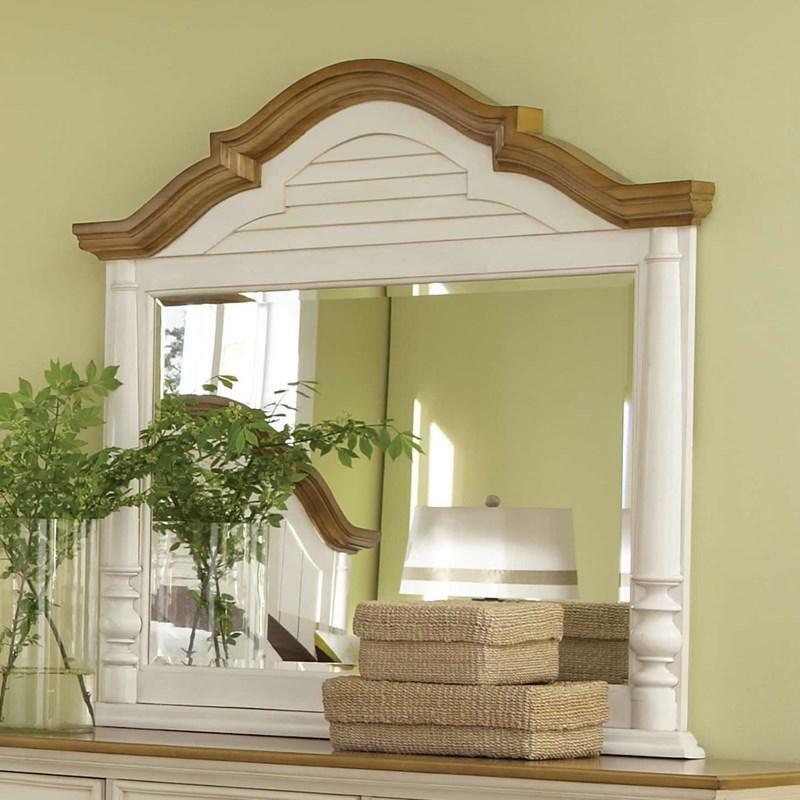 Rich rustic lightly wire-brushed 12-step finish. 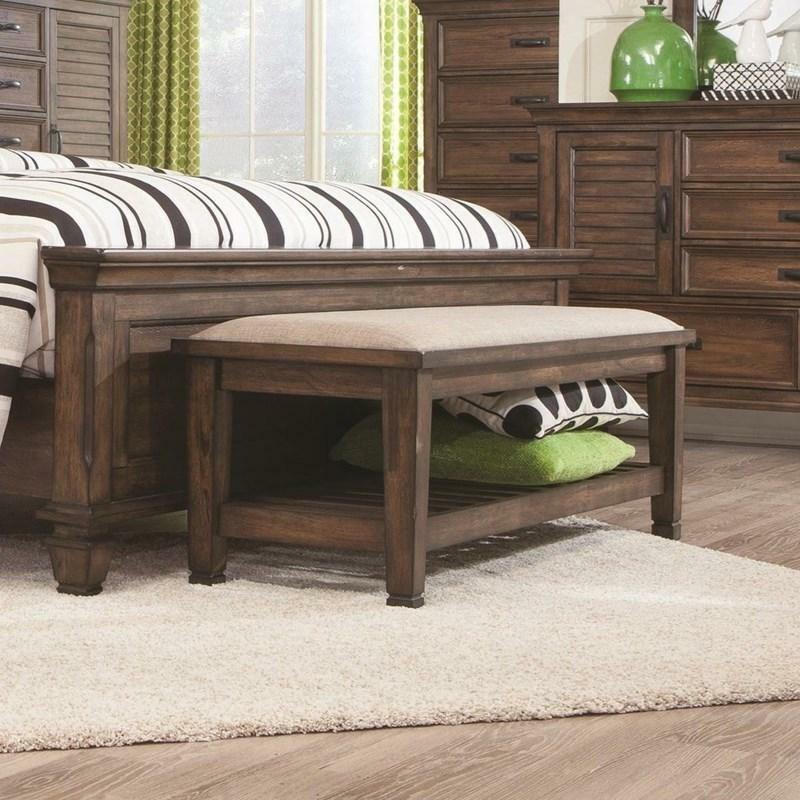 Pull-out service tray in nightstand which also has cord access for recharging your gadgets. 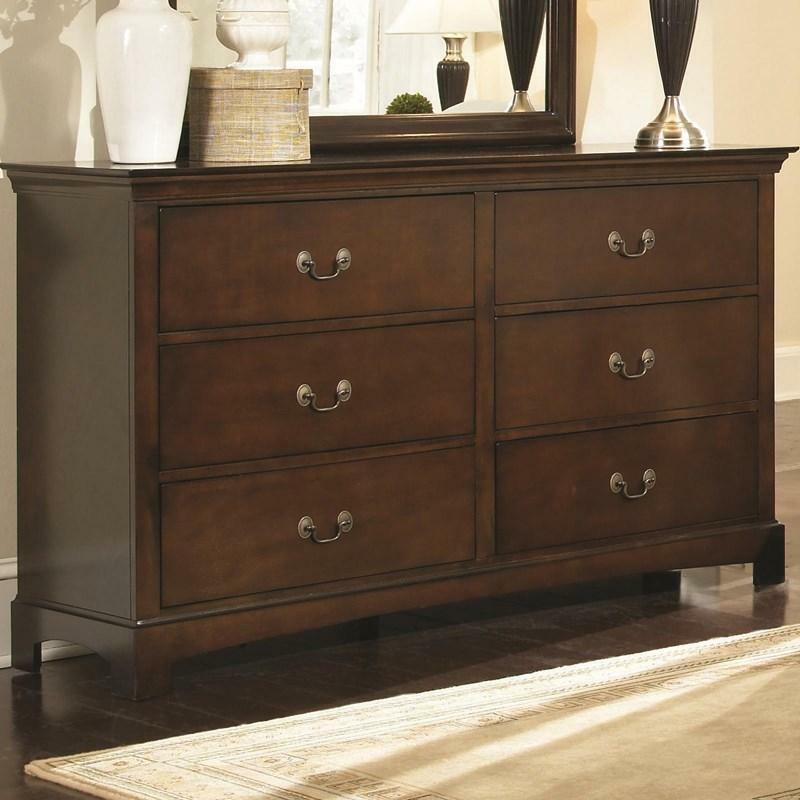 This Tatiana Dresser by Coaster Furniture features a transitional style with clean shapes and beveled edges finish made of okume veneers and tropical wood in a beautiful warm brown that will gave at your bedroom a nice look. 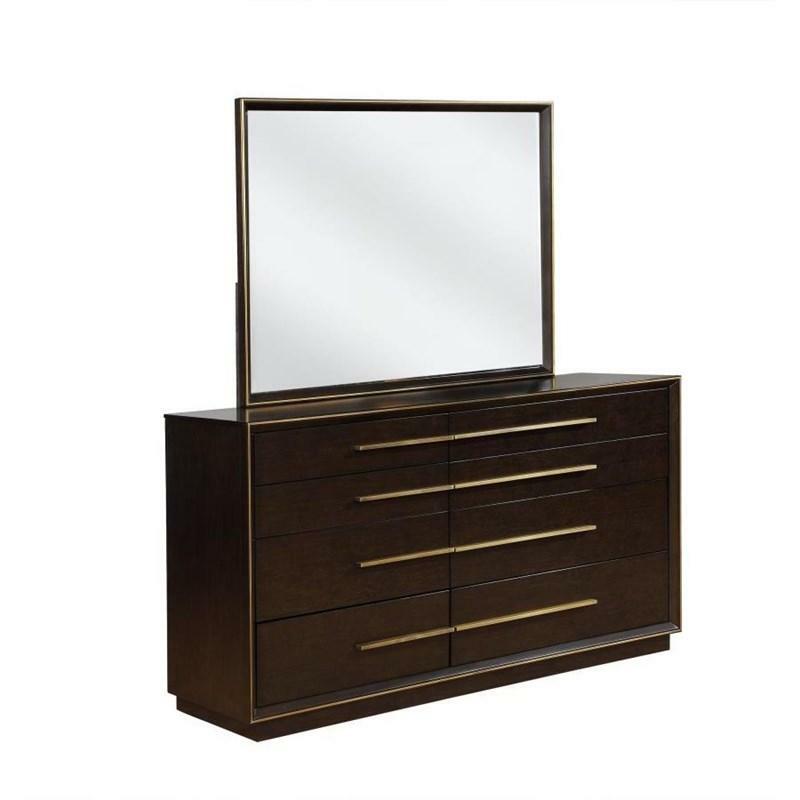 This Tatiana Square Dresser Mirror by Coaster Furniture features a transitional style with clean shapes and beveled edges finish made of okume veneers and tropical wood in a beautiful warm brown that will gave at your bedroom a nice look. 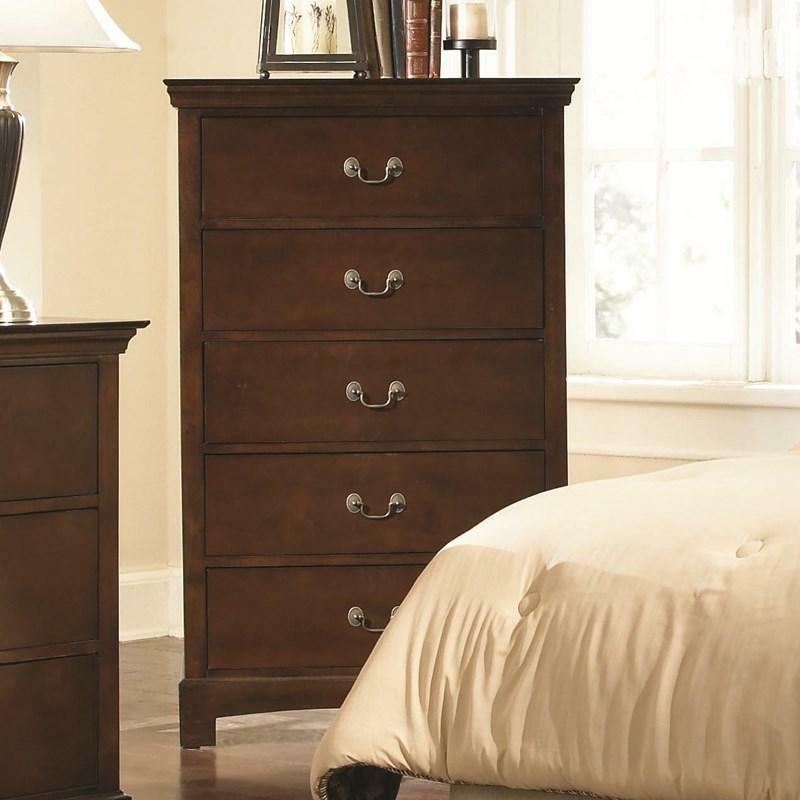 This Tatiana Chest by Coaster Furniture features a transitional style with clean shapes and beveled edges finish made of okume veneers and tropical wood in a beautiful warm brown that will gave at your bedroom a nice look. 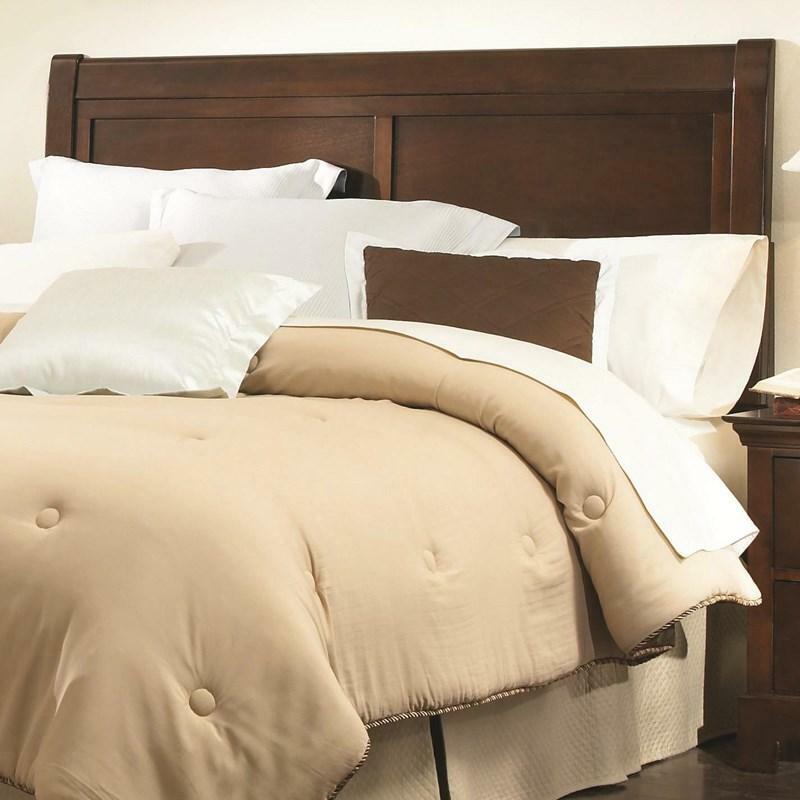 Seaboard Bedding and Furniture is located in Myrtle Beach and proudly serving the state of South Carolina. We showcase a variety of living rooms, dining rooms, bedrooms, kids bedrooms, home office, home decor, and more. 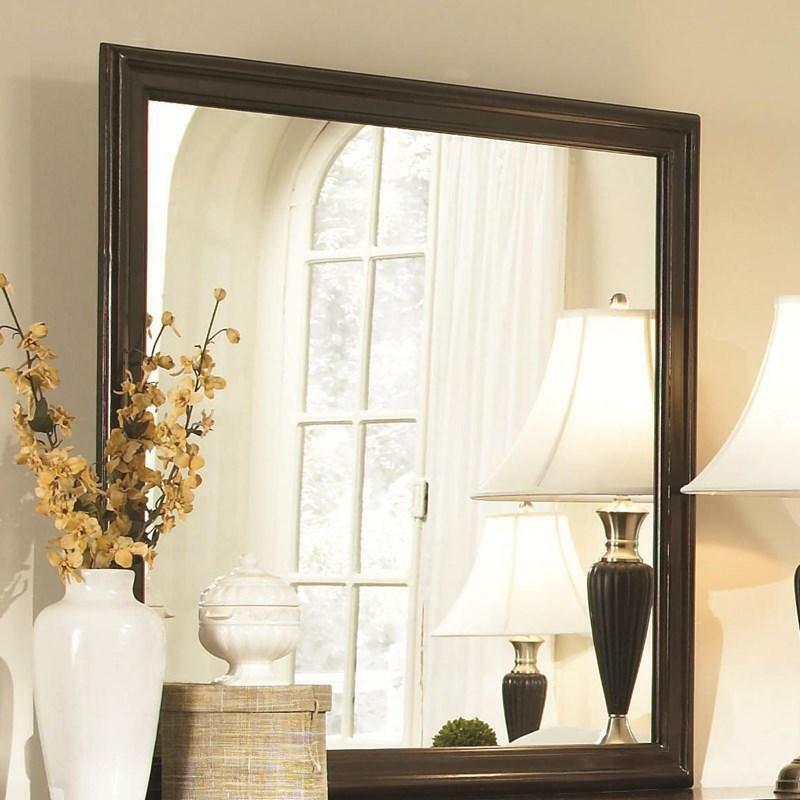 We carry major brands such as Ashley, Coaster, Crown Mark, Cottage Creek, Bernards, Catnapper, Fusion, Glidaway, Global Trading Unlimited, Huges, Serta, Kith, Lifestyle, Malouf, Stylecraft, United Furniture Industries, United Weavers of America, Split Nickel, Artistic Way, Homelengance, and more. © 2019 Seaboard Bedding All Right Reserved.